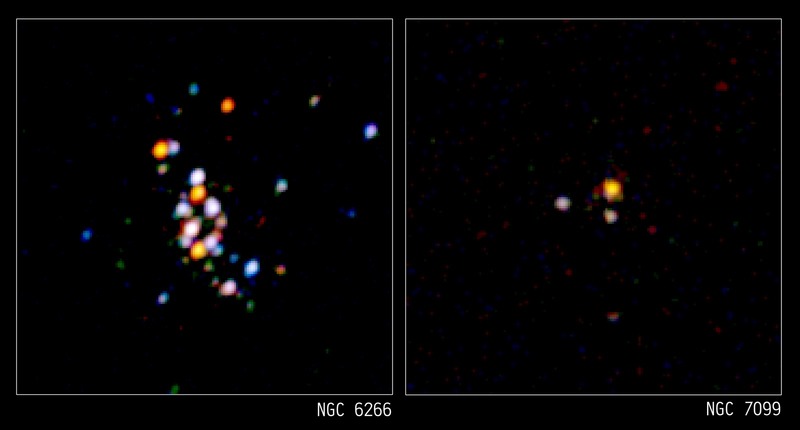 Most of the point-like X-ray sources in these Chandra images are binary star systems containing a collapsed star, such as a neutron star or a white dwarf star, that is pulling matter off a normal companion star. A globular cluster is a spherical collection of hundreds of thousands or even millions of stars buzzing around each other in a gravitationally bound stellar beehive that is about a hundred light years in diameter. 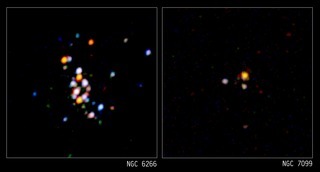 While direct, head-on collisions between stars are rare even in these crowded conditions, close encounters are frequent and can lead to the formation of X-ray emitting binary star systems.